Welcome to the July 17, 2017 edition of ACM TechNews, providing timely information for IT professionals three times a week. 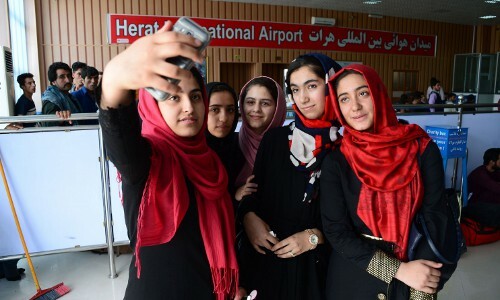 Following international headlines responding to the U.S. State Department's decision to deny visas to a team of teenage Afghani girls who were trying to enter the FIRST Global Robotics Challenge, President Donald Trump intervened and granted the girls entrance into the U.S. The three-day competition includes teams from 157 countries, as well as some multinational teams representing continents. The team from Gambia also had visa issues before their applications also were approved. In addition, sanctions prevented Global FIRST from sending a robotics kit to Iran, where a team of teenagers wanted to build a robot and enter the competition. The organization introduced the Iranian team to a group of teenage robotics enthusiasts in Virginia, who collaborated via Skype to get the Iranian design into the competition. Although FIRST has hosted many competitions in the U.S., this is the first year it is hosting an international competition. Google researcher John Martinis is part of an effort to build a quantum computer that will be able to sort through a vast number of variables to come up with a probable solution to a problem within a fraction of a second. The Google team is trying to solve two problems with quantum computing research: the fact that qubits cannot yet maintain their quantum mechanical state for more than a fraction of a second; and that current quantum computing systems do not have fault tolerance like traditional computers, which means the qubits will not continue operating if there is a disruption. The researchers are working to solve those problems with a 22-qubit chip that is currently undergoing tests in a dilution refrigerator. Martinis says by the end of 2017 the team hopes to create a 45-qubit to 50-qubit chip that could perform calculations in one second that would take a supercomputer days or weeks to solve. Researchers at the University of Toronto (U of T) in Canada have used sensors and artificial intelligence to create self-driving electric wheelchairs. Rather than designing a new autonomous wheelchair from scratch, the researchers focused on retrofitting existing wheelchairs using sensors, controllers, and a small computer. In addition, the team wrote software and developed algorithms to handle many common situations, including driving down narrow corridors and avoiding obstacles. The next step will be to test the wheelchair in controlled environments under the supervision of occupational therapists, according to U of T researcher Jonathan Kelly. The system could be a significant improvement over sip-and-puff (SNP) controllers, which control a wheelchair by having the user sip or puff air into a plastic straw that is connected to a computer. SNP controllers are an alternative to joysticks, but they can make complex tasks overwhelming. The AI Now initiative, launched by a team of researchers, including those at Microsoft and Google, as well as members of the American Civil Liberties Union, aims to identify and highlight algorithmic bias. Algorithmic bias could be a major societal issue as bias in increasingly more important decisions goes unrecognized and unchecked. Algorithms that may conceal hidden biases already are routinely used to make vital financial and legal decisions. For example, proprietary algorithms are used to decide who gets a job interview, who gets granted parole, and who gets a loan. The key challenge, according to the AI Now team, is that crucial stakeholders have not shown great interest in monitoring and limiting algorithmic bias. Even those who know their algorithms are at a risk of bias are more interested in the bottom line than in eliminating bias. The researchers also are concerned the Trump administration's lack of interest in artificial intelligence will result in no regulatory movement to address the problem. Data scientist Alexia Jolicoeur-Marineau has developed the Meow Generator, a collection of machine-learning algorithms that have created more than 15,000 disturbing cat faces. Jolicoeur-Marineau started with a publicly-available dataset that contains 10,000 picture of cats. She then manually prepared the pictures so just the faces of the cats could be seen, and fed the edited photos into a generative adversarial network (GAN). GANs have been used on similar projects such as the Massachusetts Institute of Technology's Nightmare Machine, a series of algorithms that generates monster faces and eerie landscapes. GANs consist of two neural networks, one of which creates an image, while the other determines if it looks right. In the Meow Generator, one of the algorithms abstracts features from the photos to generate its own cat faces. The generated cat faces are then fed into the other algorithm, which determines which images are generated and which are real. Researchers at Harvard University's Wyss Institute for Biologically Inspired Engineering say they have developed a highly sensitive soft capacitive sensor made of silicone and fabric that moves and flexes with the human body to accurately detect movement. "We have designed a unique batch-manufacturing process that allows us to create custom-shaped sensors that share uniform properties, making it possible to quickly fabricate them for a given application," says Wyss Institute researcher Ozgur Atalay. 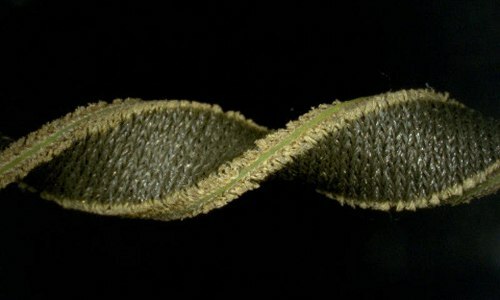 The technology consists of a thin sheet of silicone sandwiched between two layers of silver-plated, conductive fabric, forming a capacitive sensor. The sensor registers movement by measuring the change in capacitance of the electrical field between the two electrodes. The researchers found the hybrid sensor was able to detect increases in capacitance within 30 milliseconds of strain application and physical changes of less than half a millimeter, confirming that it can capture movement on the scale of the human body. Researchers at the Massachusetts Institute of Technology's Computer Science and Artificial Intelligence Laboratory have developed "Home3D," which enables users to watch three-dimensional (3D) movies without wearing special glasses. Home3D relies on a format compatible with "automultiscopic displays," in which 3D movies are converted from "stereoscopic" to "multiview" video. Instead of showing a pair of images, the screen displays three or more images that simulate what the scene looks like from different perspectives. Home3D can run in real time using a graphics-processing unit (GPU), which means it could run on certain game consoles. The team says in the future, Home3D could take the form of a chip that could be put into TVs or media players such as Google's Chromecast. The algorithms for Home3D also enable users to dial up or down the desired level of 3D for any given movie. 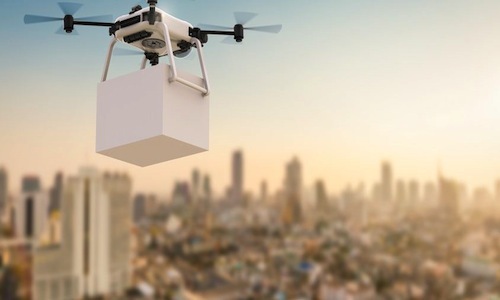 Researchers at the University in Klagenfurt in Austria are developing a system in which customers order products that are stored in warehouses and then delivered via drones. The researchers say one key to making the system as efficient and customer-friendly as possible is determining how the drones will decide which customer will be served next and which drone will serve the next customer. They have developed various scenarios and then calculated their respective impact on the performance capacity of the system. The researchers found that if the oldest query is dealt with next, there is a risk the system could be rendered unstable if just one transport unit fails. However, when the query located closest is chosen as a matter of course, each transport unit can decide independently which query to execute next, thus increasing the degree of autonomy. 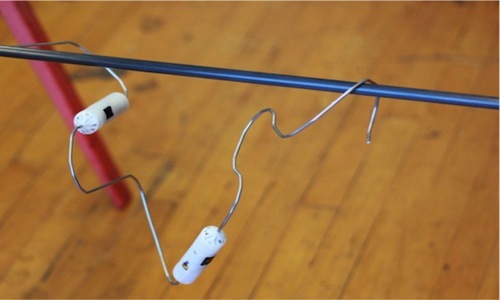 Researchers at the IT University of Copenhagen in Denmark say they have developed a robotic builder that can create a finished product out of a wire in less than 13 minutes. The robotic system works by bending wire that already has motors attached into different shapes, using a process called 1D printing. After the robot has performed its job, it can be flattened and fed back into the system to be recycled into a new type of robot. "The idea is that you analyze the current situation, then make a robot on the fly that can deal with it," says IT University of Copenhagen researcher Sebastian Risi. The system relies on evolutionary algorithms to improve the design until one is reached that satisfies all constraints. As a result, the system does not have to find the best design on the first attempt, but can keep evolving the design until it works. 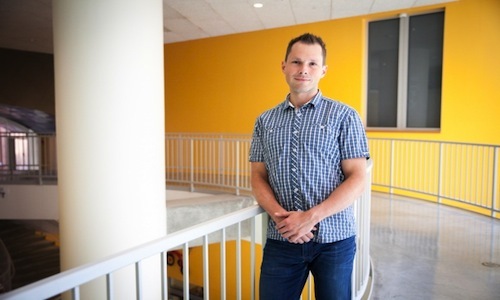 University at Buffalo researchers have received a $584,469 U.S. National Science Foundation grant to accelerate the process of sharing extremely large datasets. As part of the research, they will create OneDataShare, a tool designed to work with the existing computer infrastructure to boost data transfer speeds by more than 10 times. Large organizations and government agencies can generate 1 petabyte or more of data daily, but transferring this data online can take days or weeks using standard high-speed networks. 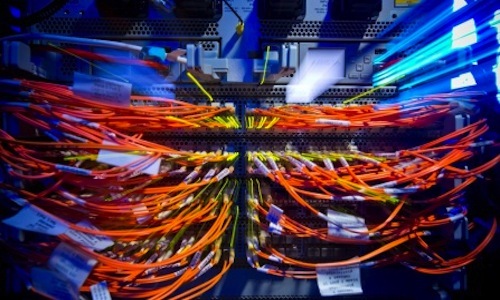 The bottleneck is caused by a range of factors, including substandard protocols, problems with the routes that data takes, and how information is stored. OneDataShare will attempt to solve these problems by using a unique software and research platform that aims to reduce the time needed to deliver data, enable users to work with different datasets that previously have not been compatible, and decrease the uncertainty in real-time decision-making processes. Microsoft's new People + AI Research (PAIR) program is focusing on cognitive psychology to pinpoint gaps in human intellect, such as forgetting people or events, and using them to build artificial intelligences (AI) that complement people's blind spots. For example, the team is working on a project that uses machine learning to examine historical medical cases and alert doctors to potential problems they may have missed when making a diagnosis or discharging a patient. The research suggests AI should not necessarily take over from humans, but rather assist them in doing a better a job. 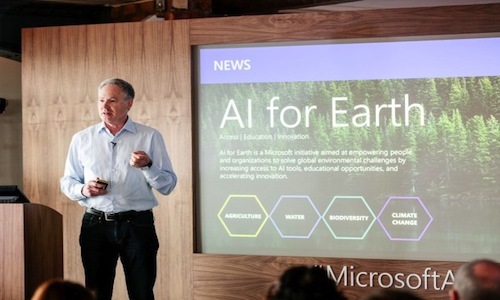 Microsoft also seeks to develop new ways to test its machine-learning tools so they do not malfunction in the real world, and to eliminate biases that may creep into AIs via the datasets on which they are trained. Another objective of PAIR is to explore how to better understand how a deep-learning system has reached a decision. Researchers at Osnabrueck University in Germany recently published a study highlighting the feasibility of incorporating human moral decision-making into machines, and suggesting that autonomous vehicles will soon be able to handle moral dilemmas in road traffic. To define rules and guidelines for autonomous vehicles, the researchers established a two-step process. First, the moral decisions of people in critical situations were analyzed, and then this behavior was described statistically to derive rules that can be used by machines, according to Osnabrueck professor Gordon Pipa. The researchers put both steps in practice with virtual reality to observe the behavior of participants in simulated traffic situations. They found that in moral dilemma situations, human moral behavior can be explained by simple models based on values of life assigned to each person, animal, and object. 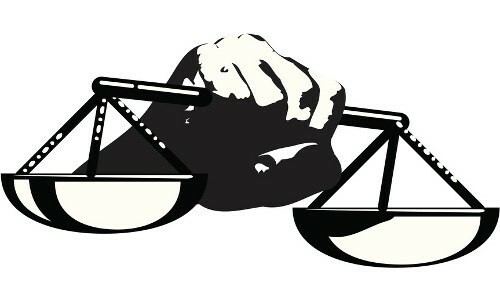 The researchers say they now need to decide on the influence of moral values on the guidelines for machine behavior.